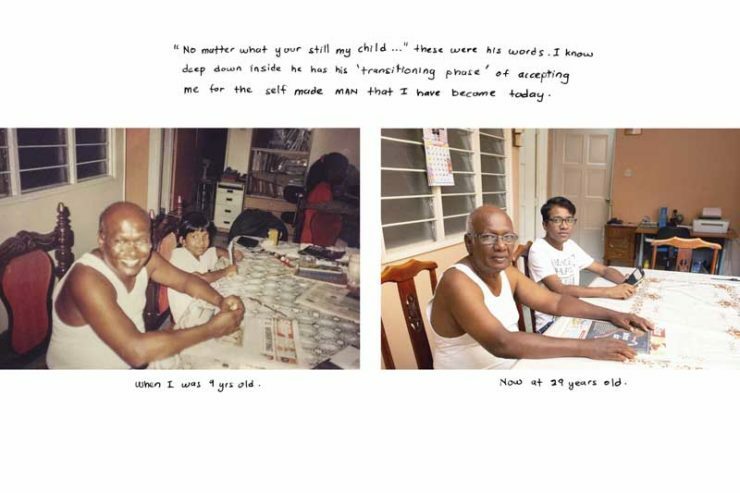 The Objectifs Documentary Awards champions Objectifs’ mission to broaden perspectives through image making, by supporting original voices in visual storytelling in Singapore and the wider region. The Award enables photographers to work on new or existing projects, encouraging them to discover and tell stories about their native communities. It welcomes different creative approaches to non-fiction storytelling, from conventional documentary photography to visual experiments. The awardees will be given professional and financial support to work on their projects over a 6 month-long period. The final works will exhibited at Objectifs in conjunction with our documentary programme, Stories That Matter in March-April 2019. Nguyen Anh Mai is a Vietnamese visual artist who has an interest in contemporary issues. He will be working with curator Sam I-shan to exhibit his project at Objectifs in March 2019. His works are often a mixture of observational and poetic documentary with heavy personal investment. He majored in Economics at University of Surrey, United Kingdom. His interest in documentary photography lead him to work in photojournalism, and he joined VnExpress Newspaper as a contract photographer in 2013. In 2015, Nguyen Anh left VnExpress and has been freelancing for various local news outlets as well as focusing on his personal projects. In 2016, he finished One Year Certificate at International Center of Photography in New York and co-founded Matca, an online photography community in Vietnam. 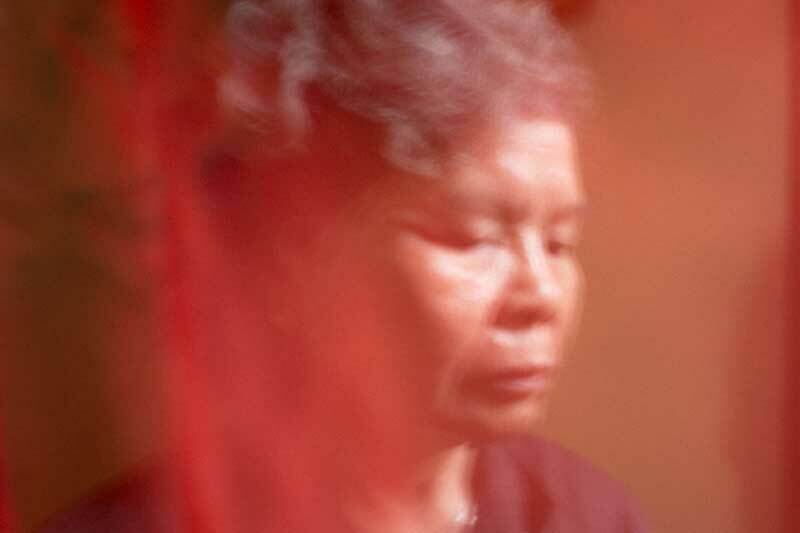 Through family letters, archival objects, interviews and artist portraits, Nguyen Anh has sought to photographically document his relatives’ impressions and memories of Mr Tuyen, his maternal granduncle, and the only living relative from his grandmother’s maiden family. In 2015, Tuyen and Nguyen Anh’s grandmother reunited for first, but also possibly the last time after 63 years apart, when Tuyen returned to Vietnam for the first time at the age of 80. Tuyen left for America during the Fall of Saigon. 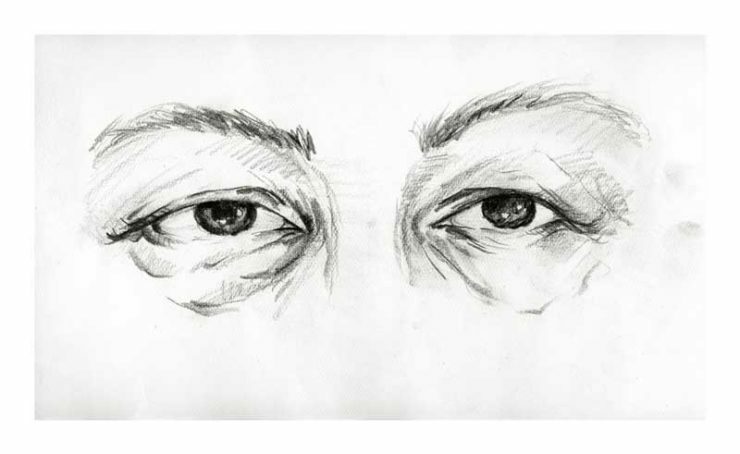 As a high-ranking official in the South Vietnam government then, he had feared retaliation from the Communist Party, and had also faced many struggles over the years, including raising his family in America as a refugee. 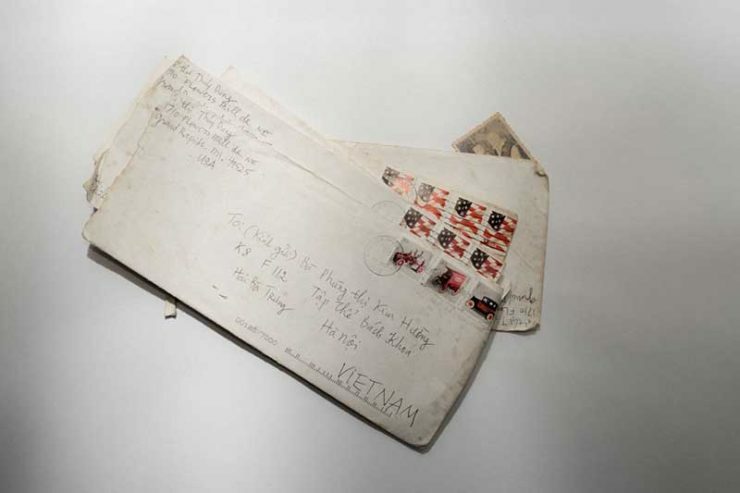 Due to his long absence from Vietnam, Nguyen Anh’s relatives in Vietnam memories of Tuyen are informed by tens of letters, dozens of phone calls and emails, combined with his visit to Vietnam. Consequently Tuyen becomes a product of everyone’s expectations and imaginations. Grace Baey is a Singapore-based photographer with an interest in social issues. Grace will undertake a six-month long mentorship with visual storyteller and photographer Sim Chi Yin. Her project will be presented at Objectifs in March 2019. A human geographer by training, she’s especially interested in questions of place, identity, and belonging. 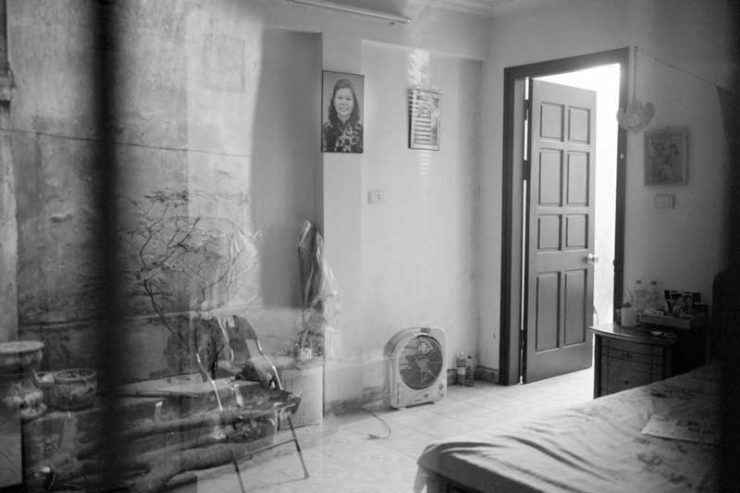 Her current work deals with issues of social marginalisation, with focus on the transgender community in Singapore and Southeast Asia. She is an alumnus of the 2015 Angkor Photo Workshop in Siem Reap, Cambodia, and a recipient of the 2018 Objectifs Artist Residency Programme. 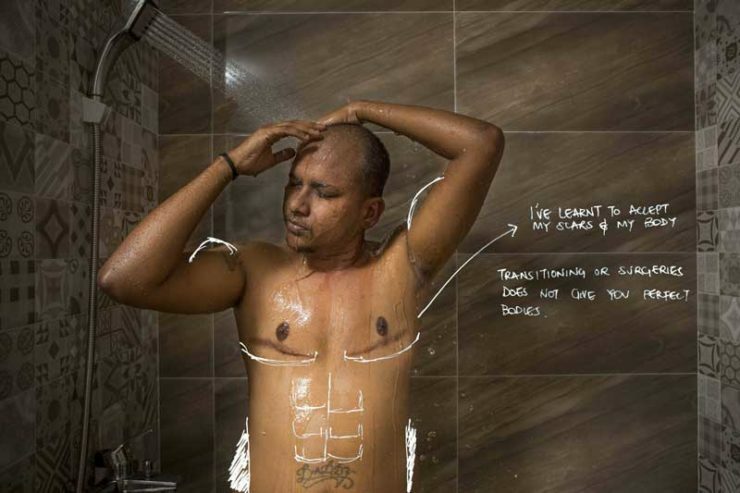 “Writing On the Wall” is a collaborative photo project on transgender identity in Singapore. Grace Baey began this project with the aim of starting conversations about transgender identity that are less talked about in Singapore, e.g. issues of family, parenthood, ageing, and gender dysphoria. She plans to do this by incorporating conversation into the work, where story subjects tell their own stories through handwritten reflections on the pictures they make together. The process involves having conversations about specific aspects of people’s stories that they wish to focus on, making the pictures together, and having story subjects write their thoughts and responses on the picture itself. 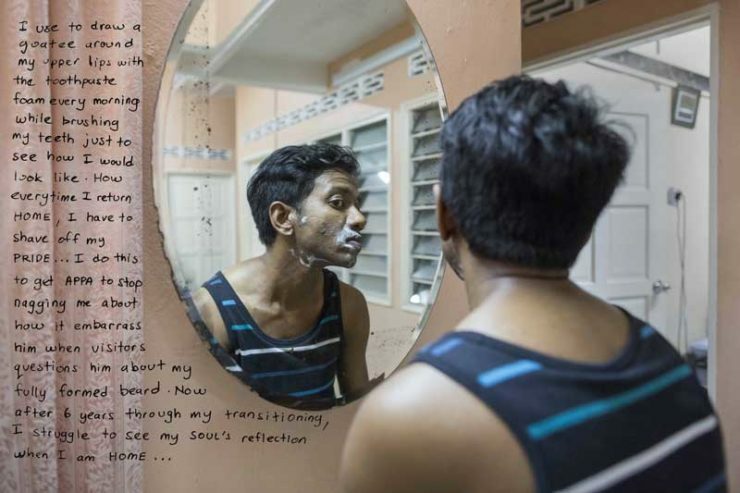 Grace started the project with support from the Exactly Foundation, and hopes to take the work further by involving a wider range of individuals from the transgender community in Singapore.